Employer's note: Flexible work schedules. It's an exciting time at the firm because we are reimagining the way we deliver applications by adopting a microservices architecture, expanding our mobile footprint and streamlining our software pipeline. We are also adopting new technology such as containerization and cloud computing while exploring IT innovations such as artificial intelligence, robotics and blockchain. Associates can also participate in codefest competitions to showcase new technology opportunities. The IS division provides systems and support critical to the firm achieving its' 2020 Vision. Whether IS associates are designing a new portfolio tool, enhancing infrastructure or determining how to offer a new feature on http://www.edwardjones.com, everything we do supports our branch teams and the clients they serve. Typical roles include programming, systems administration and project leadership positions that are responsible for creating the tools and systems used by our clients and branches every day. Successful individuals will have strong analytical and communication skills in addition to their technical knowledge. Furthermore, in order to support the clients and branches, they must have an understanding of our business and industry. 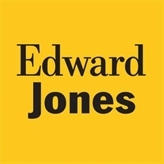 Want to get notified about new jobs at Edward Jones?